(Trent Nelson | The Salt Lake Tribune) Andy Golden of Benchland Water District at Reservoir B in Farmington, Wednesday July 25, 2018. The reservoir typically holds between 15 and 20 million gallons of water. 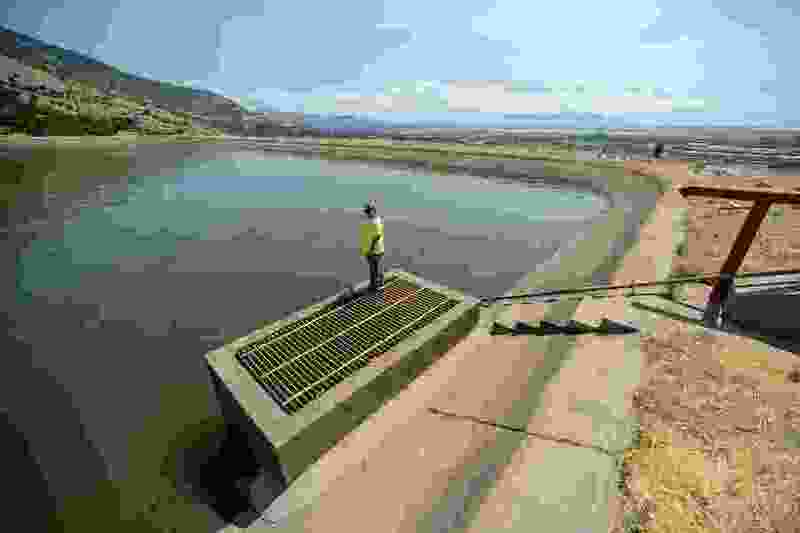 Early Tuesday morning, Paul Hirst received a call with “unprecedented” news: Twenty-five million gallons of water had been drained from one of the Benchland Irrigation Water District’s reservoirs overnight, leaving it empty for the first time anyone working there can remember. A water shortage, spurred by low snowpack, dry conditions and rapid population growth, led the district to implement tough usage restrictions earlier this month on the east Farmington residents it serves in Davis County. Even with a $50 fine for a first offense — and complete disconnection from the water system on the third — the district can’t seem to break customers of the habit of chronic overwatering, said Hirst. Officials issued 400 citations during their first enforcement last weekend of the watering restriction from 8 a.m. Saturday to 8 a.m. Monday. Hirst said he believes some of the people who received citations may have watered their lawns the entire night, in a “vindictive” effort to make a point. The district has received a number of angry calls and even threats of lawsuits over the restrictions. • No weekday watering from 10 a.m. to 6 p.m. 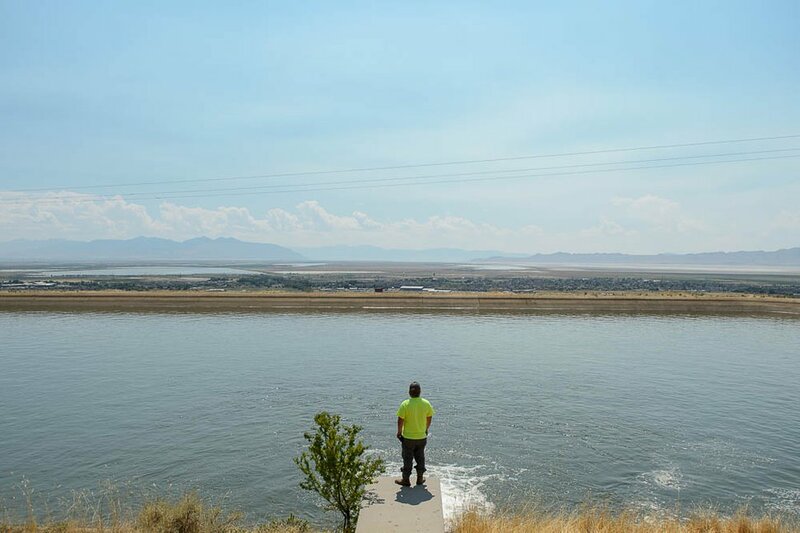 In Riverton, city officials are also trying to get ahead of overwatering and are asking residents and businesses to cut their culinary and secondary water by 25 percent. The city is one of the few in the valley that offer secondary water access from canals to all their residents, and it has no other water source for lawns and gardens. If Farmington residents continued their pre-restriction usage rate, district officials estimate, the water supply would dry up by Sept. 1. There’s no indication that the canals in Riverton will dry up, Saxton said, so the reduction is voluntary for now. He said the city hasn’t had “in-depth discussions of what to do if the water use doesn’t cut back,” but that the City Council and administration will consider other options, if needed. Each day, Riverton uses 6 million to 7 million gallons of culinary water, which is treated for drinking, and 30 million to 34 million gallons of secondary water, which is untreated and meant for landscaping and irrigation. That’s an average of 683 gallons per household of culinary water and 2,952 gallons of secondary water — and it’s unsustainable. Riverton has cutting back on watering its 473 acres of parks and other green space. It now averages about 25 percent less than the state-recommended amount of water use per week in those spaces, according to a news release from the city. 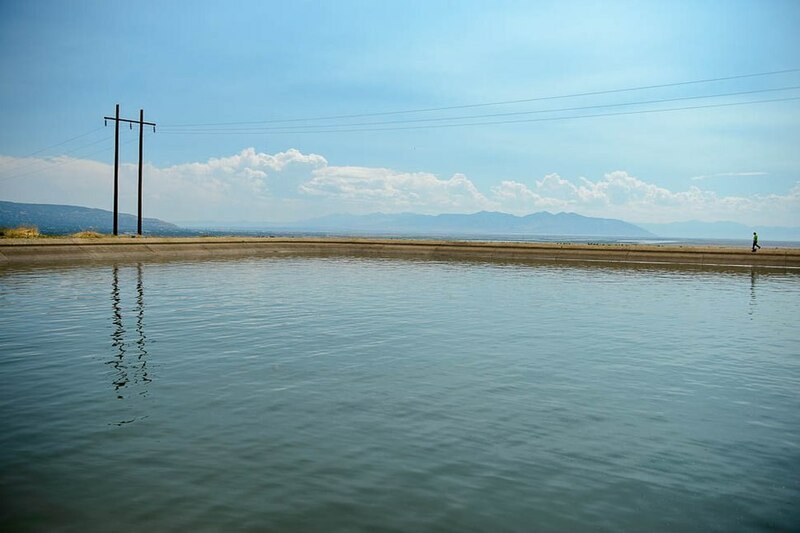 One of the biggest challenges Riverton and the Benchland Irrigation Water District in Farmington face in fighting overuse is that their secondary water sources aren’t metered. But in Farmington, water district officials are realizing that relying on their residents to play by the rules might not be enough, and they’re considering metering — a process that would cost about $1,000 per connection to install meters, along with additional costs to hire employees to read them and bill customers.